Tendons are the fibers that connect muscle to bone. 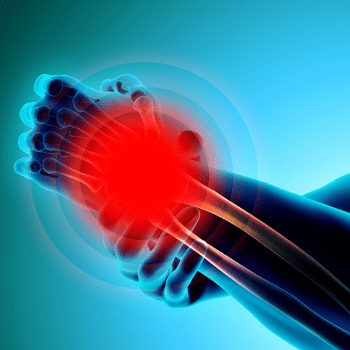 There are two types of tendon injuries. Tendinitis is when the tendon is inflamed, which is not common unless one has a rheumatological issue. Tendinosis is degeneration of the tendon (like a fraying rope) with tiny tears in the tissue and around the tendon, which is usually caused by overusing the tendon over a long period of time. However, this can be felt abruptly with an activity that overloads a weakened tendon. It is typically found in the upper and lower limbs. Symptoms are aches and pain, stiffness, and swelling. If the tendinitis lasts longer than a few weeks, then it is most likely tendinosis (degeneration).